I have a 12 year old Johne Deere 260 riding mower. Never had any trouble with it until last year. It was spitting and sputtering,coughing and puking. Cleaned the gas tank( found water and junk) new fuel filter checked all the essentials that the fuel runs thru. It would run for a while then start all over again.. Took it to a repair shop,twice spent a total 0f $300.00. Got it back in time to put it in the shed for the winter. Took it out yesterday to mow the lawn. Damn thing ran great for the first 2 hours now again it's coughing and puking I can't even get it to stay running. (I stored it with a full tank of gas).So I have checked the filter ,blown air thru the fuel line checked all the essentials( bowl, pump) it starts and runs for 5 minutes then starts all over again.. I noticed now the exhaust spit a couple sparks out. Can someone PLEASE give me some advice. 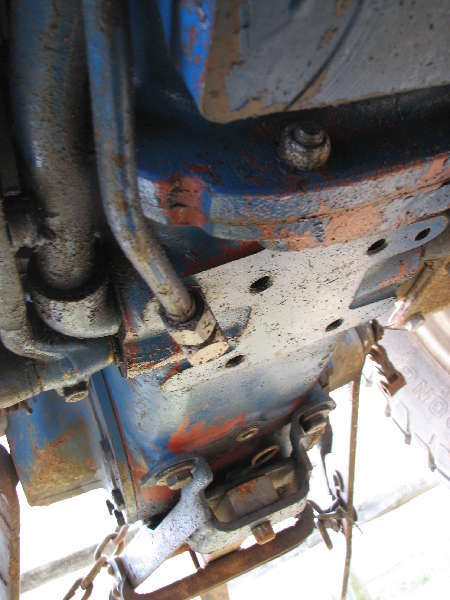 There are two thing that will make the tractor sputter like that fuel or spark. I good friend on mine that build and races MGA's for fun. States that 90% of the time when you have a problem it is electrical. Maybe that is just Lucas electrics, but you need to check that you are getting spark. If the engine runs fine cold and then sputter when warn often it is the pick up coil. The pickup coils are small electromagnets that are activated by the hall effect. The wires on the magnet are extremely fine and will develop breaks in them over time. We normally think of them as light bulbs but as the wire is wound fairly tight they often have intermitten contact. My father in-law had one that would simple stop when warm. I had one that ran rough until it warmed up and then purred like a kitten. I worked on everything and by the process of elimination finally found the bad pick up. In general they are inexpensive but I am not sure where they are located on the kolher engine. Some are under the flywheel and you have to remove the flywheel to replace. Sounds to me like your mower may have ingested or developed some contamination into the carb. Course of action A: Remove carb disassemble and clean (soak over night in cleaning solution), blow out passages with compressed air & reassemble. Course of action B: Buy new or rebuilt carb. Course of action C: Mind you this is kinda half azz. Obtain can of WD-40 & can of Berryman's B-12, pour judicious amount of B-12 into gas already in tank & slosh around to mix, remove air filter, start engine & set rpm at about 50%, spray WD-40 into carb in order to keep engine running at a REASONABLE speed/rpm. Periodically hold back on the WD-40 to see if the engine will run without it. (yes the engine will run just fine off of WD-40 and NOT harm it) If it does, hopefully you have drawn whatever was fouling the carb through the engine. Take her out and run the heck out of her cutting grass full throttle. Did you treat the gas with "Stabile" and run it through the engine before you stored it for the winter? The gas may have gummed/varnished up in the carb and/or condensation in the tank while sitting for so long. The above task should clean most or all of the gum/varnish/condensation out. No guarantee this will work but is worth a try. I have done this and it has worked more times than not. Good Luck! Thank both of you gentlemen. Chief, I tried your advise and at the present the damn thing is purring like a kitten. I'll keep my fingers crossed. If it doesn't work I'll give Peter's idea a try. Thank you very much. You saved me half a day getting it to the shop and who knows how much money. Peters and Chief mentioned two, and about the only two, of my small engine tricks. Gas that sits in an engine over-winter can gum things up especially if the engine isn't run too frequently anyway or old gas is used. I've become a fan of engine cleaner additives and gas stabilizers. If I had been a fan earlier it would have saved me quite a bit of aggravation trying to start my backup generator in about -15F last winter. I run it for a few minutes every month but keep the tank topped up, which means most of the gas in the tank at any time is pretty old. Box store additives that I had thought of as consumer junk cured the problem, and my beater of a walk behind snow-blower started OK too. The pickup coils Peters mentioned on most of my small engine flock are on flywheels and can be accessed by removing a cover. I have pretty good luck just burnishing the gap and cleaning up the flywheel. When I've used this trick it's because I don't get a spark when I put a loose spark plug on the wire and ground the base against the engine block and pull the start cord. That's not a completely reliable way of testing for spark though. Many kill switches on these engines short out the coil so it's good to check that the kill contacts aren't making contact. Should I get a new coil? Me and my two tricks may be feeling pushed here. I suppose the oil level is OK and the cylinder cooling fins (if the engine has them) are clean and the grass isn't exceptionally high or wet. An air-cooled engine operating under heavy load can do that. A clogged fuel cap also can do the same thing. If it starts easily then old gas and a gummy carb isn't a likely problem. It does sound like more like a spark problem. There probably is a testing procedure for the coils but I don't know. It's a little tricky getting a spark as I described. At best you don't get a fat blue spark like on a car. You get a thin dim spark and a little pop when the engine is pulled hard enough. I usually remove the plug so the engine turns over faster. If I get the pop I usually assume the spark is good, but if I don't get it I can't assume the spark is bad. Trouble is that the engine cools down while doing the testing and the spark might just start working again. If the coil is easily accessible and inexpensive, I might replace it on general principal. You MUST use something to stabilize the gas if you store it for any length of time. Best thing for over-winter storage for your mower is to drain the tank and then run the engine until it stops on its own. For now I would repeat what worked the first time, but I would do it with a fresh tank of gas and a new fuel filter. You many still have some contamination in the carb bowl, and after sloshing it around it gets another gulp of water, but I doubt it. My my friend recently got 1/2 a tank of water in his mower tank. We cleaned it out and it ran fine. It could be a little dirt but? With it starting after it is fully warmed up I would check the pick up coil. Not the main coil but the pick up. I would hope that on the Kohler that it is less than 20$ but I have been fooled before. Here's the latest........I'm not a mechanic so excuse my ignorance on some cases.. I got a new coil -didn't make any difference. SO,I figured I better start over. Took out all the gas, cleaned the tank, blew air thru all the lines.. No water, no dirt.Even took apart the fuel shut off and cleaned it. Took out the spark plug and cleaned it sprayed the carb with carb cleaner. Took off the top cap of the engine and found that little mice had a good home for the winter.. One thing I noticed was the wire that goes from the coil to where the spark plug wire connects had been chewed thru a bit. There was about 4-5 wires busted. So it made up a new wire and put it back together. I put everything back together and mowed for an hour.. So far so good..I want to say it ran great but I don't dare... I have to mow more tomorrow so we'll see what happens. Could it have been the wire?